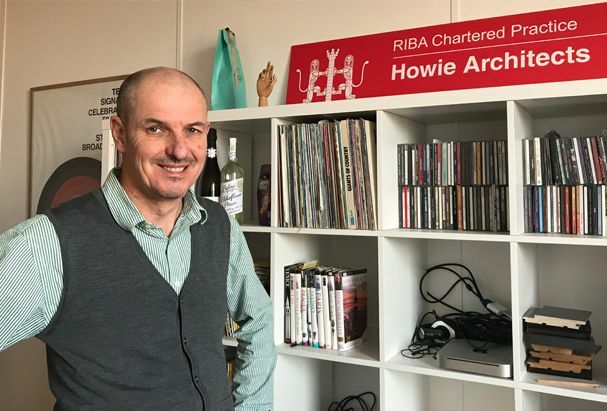 Heading up his own Norfolk-based practice, architect Alastair Howie RIBA has worked in the industry for more than 30 years. His passion for his work has taken him across the country, focusing on projects ranging from historic, period conversions in Sussex to home extensions in Somerset and commercial projects in London and Birmingham. Growing up with a thirst to be creative, Alastair spent much of his time drawing yet also found he had a leaning towards technical and science subjects. Eventually realising great architecture is art that fulfils a practical function, he decided to study the subject and was awarded a place on a Part 3 Advanced Diploma in Architecture at the Scott Sutherland School of Architecture in Aberdeen, under the professorship of the renowned Robin Webster. Since then, Alastair’s enthusiasm and enjoyment of his chosen career has seen him realise dozens of commercial buildings, including flagship retail branches and multi-storey office developments, as well as training centres, community projects and, of course, numerous private homes. Among the most challenging has been a £3.7 million historic building which he oversaw in development for mixed use. For almost three years, he lived and breathed this project and still considers it to have been an important learning experience. Three decades later, Alastair still finds he learns something new with every project. One of his own favourite buildings is the Sainsbury Centre in Norwich, which was designed by celebrated architect Norman Foster. Foster and the Sainsbury Centre were worshipped by students in Alastair’s year as they heralded a pioneering modern, high-tech movement in architecture, using new technology in glass and steel. Alastair remembers making a pilgrimage to Norfolk from Aberdeen to see the impressive building in the mid-80s and yet still believes it looks just as fresh and exciting today. He also loves architecture where contemporary and heritage sit beside each other in contrast: where the new does not try to compete with or copy the period features. The new roof at the British Museum and St Pancras Station in London are great examples of this. Since launching his own business, Alastair has found enjoyment in independence and responsibility without the bureaucracy and red tape that can come with working for a larger company. Growing the business and working closely with other members of the team continues to give him great pleasure and he relishes the hands-on approach he can now have with each and every project. He also enjoys working closely with his clients, guiding them through what can often be a complex process. Now based full-time in East Anglia, he savours the spectrum of projects he is able to take on: from the inner city, modern homes of central Norwich to the beautiful terraced houses of the Golden Triangle. He also relishes the challenge of working with the beautiful old buildings of Norfolk and Suffolk, where he has discovered the opportunity to be more expansive without the constraints of space. Alastair admits he gets a real buzz from projects where there is a close working relationship between the client, professional consultants and especially the construction team. Like many architects, his aim is to design and build his own home one day. But, in the meantime, seeing the other projects he works on come off the plan and emerge out of the ground remains a thrill and pleasure every single time.